Stop your husband from drinking himself to death. Don't let your brother lose it all to gambling. Get your kid off drugs. Motivate your best friend to lose weight. Make your spendthrift brother-in-law stop maxing out his credit cards. Get your sister out of an abusive relationship. Erase anger in your co-worker. If you're tired of watching your spouse, child, relative, or best friend go downhill, dragging you with them, How to Change Someone You Love will help you turn their lives around. You don't have to endure behavior that is unhealthy, abusive, possibly deadly, and that threatens to unravel relationships. You can change it. Many books will tell you that you can't change anyone. They advise you not to even try. The problem is, they ignore the tremendous power you actually have to change people. If most books about change are written for the addict or troubled person, How to Change Someone You Love reaches out to the loved ones who know that change is critical and urgent. 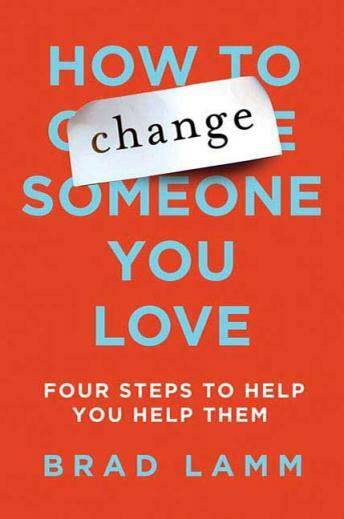 How to Change Someone You Love is not just a self-help book; this is a help-you-act book.